Wins for the Kansas City Chiefs and victories for Sporting Kansas City can mean more green for the metro area, but how does fan enthusiasm translate to a boost the local business economy. KANSAS CITY, Mo. — Wins for the Kansas City Chiefs and victories for Sporting Kansas City can mean more green for the metro area. Fan enthusiasm is sky high as the Chiefs keep winning, but how does that excitement translate to the local business economy? “When people are confident, when people are happy, both of those things tend to cause them to spend a bit more money,” University of Missouri-Kansas City Associate Professor of Economics and Law William Black said. But fan enthusiasm alone only impacts the local economy if they open their wallets wide enough. “You spent money on let's say a sports jersey (or) you got that kind of sweater but you might well have gotten a sweater anyway, and so that isn't necessarily a net gain for the economy,” Black said. For retailers that specialize in team gear, like Westside Storey, the boost can be substantial even if the overall economic impact isn't. “It's a lot different this year than previous seasons," Westside Storey manager Jamie Ryan. "I think more people are excited for the new quarterback." 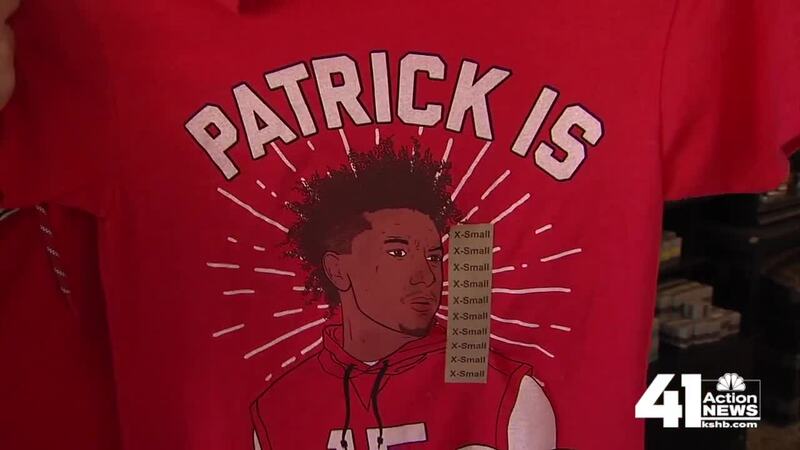 Certainly, quarterback Patrick Mahomes is creating plenty of buzz as his face printed on -shirts, boosting the store’s bottom line. “Everyone wants some Mahomes gear so having that has been really good for us, Chiefs are doing great and that helps us a ton,” said Ryan. The demand is so great, some merchandise is sold out in some places. “It's kind of frustrating, but it's fine," Chiefs fan Madeline Peters said. "I ended up borrowing one, so we're good." Of course, the opposite also is true — if a team loses, sales slump. “When the Royals aren't doing great, we don't sell as many Royals shirts,” Ryan said. Black said depression actually can set in for fans and the reverse of an economic boom can take shape in lean times.